Applications are invited from suitably qualified candidates for admission into the Lagos State University Teaching Hospital (LUTH), School of Midwifery and Post Basic Nursing Programmes for the 2018/2019 academic session. Read Also: LUTH School of Nursing Admission Form for 2018/2019 Academic Session. LUTH School of Post Basic Nursing and Midwifery Available Programmes & Duration. LUTH Post Basic Nursing and School of Midwifery Admission Requirements. Candidates must be Registered Nurses with at least one year post qualification experience and with a VALID LICENSE. Must possess five (5) Credits at ‘O’ Level in the following subjects: English Language, Mathematics, Biology, Chemistry and Physics. Combination of results of not more than two (2) approved examination bodies i .e. GCE/WAEC or WAEC/NECO/. Applicants should possess the RN qualification (with or without RM), five (5) credits in WASC/GCE/NECO/GCE induding English Language, Mathematics and Biology at not more than two sittings. Applicants who qualified from 2006 till date should have credit in English Language, Mathematics, Physics, Chemistry and Biology. Two years post qualification experience and current practice licence issued by the Nursing and Midwifery Council of Nigeria are mandatory for every applicant. LUTH Post Basic Nursing and School of Midwifery Entrance Exam & Closing Dates. Written examination will be conducted on the 16th June, 2018 by 9.00am at School of Post Basic Nursing (Human Resources Development Centre), Lagos University Teaching Hospital (LUTH), Idi — Araba. Successful candidates are to bring along original copies of all relevant certificates for interview at the same venue from 2nd — 5th July, 2018. The copies of the completed application forms, two (2) recent passport photographs, photocopies of relevant certificates and practice licence should reach the Administrative Office of the School of Post Basic Nursing not later than Friday, 10th June, 2018. Sale and submission of application forms for School of Midwifery will close on 8th June.2018. How to Apply for LUTH Post Basic Nursing and School of Midwifery Admission. 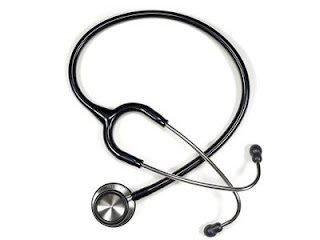 Application fee is N10,000.00 for Post-Basic Nursing Programmes only. Payment is by visiting the website: www.remita.net. Click on pay a Federal Government Agency. On name of MDA, type Lagos University Teaching Hospital. Then click on other LUTH Fees. Follow the prompts to generate the ‘RRR` code. Thereafter, use the ‘RRR’ code to make payment at any Bank of your choice and submit your voucher or receipt to the Finance and Accounts Department, LUTH, where a receipt will be issued in place of the PRINT-OUT. The photocopy of the receipt issued should be presented to the Ag. Head, School of Post-Basic Nursing. Application fee is N5,000.00 (Five thousand naira) only. Payment is by visiting the website: www.remita.net. Click on pay a Federal Government Agency. On name of MDA, type Lagos University Teaching Hospital. Then click on other LUTH Fees. Follow the prompts to generate the ‘RRR’ code. Thereafter, use the ‘RRR’ code to make payment at any Bank of your choice and submit your voucher or receipt to the Finance and Accounts Department, LUTH, where a receipt will be issued in place of the PRINT-OUT. Submit handwritten application letter addressed to the Principal, School of Midwifery, LUTH. Make a photocopy of the receipt with applicant’s passport photograph on the left handcomer. Submit completed application form with photocopies of credentials, 3 passport photographs and photocopy of receipts enclosed in a Big brown envelope. Course Fee: Details will be provided on admission.